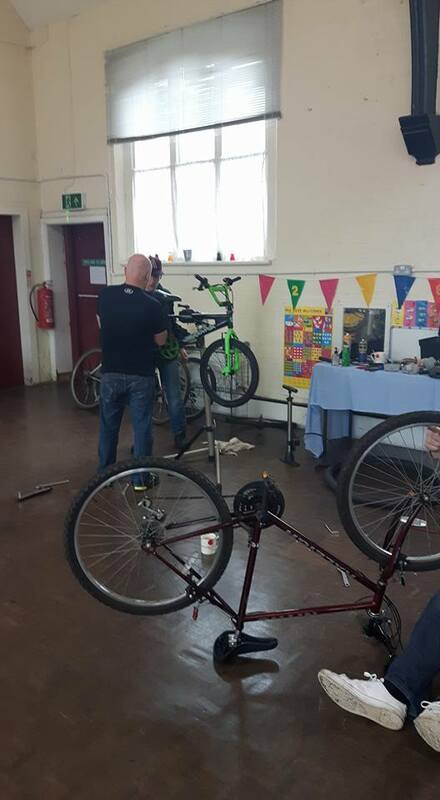 Dadly Does It builds on our exploratory project in Little Hulton in Salford, whose aim was to find new ways to improve the wellbeing of disadvantaged fathers and to understand whether this can improve the wellbeing of their children. Using a ‘positive deviance’ approach, the original project was co-produced with a ‘Council of Dadz’ (now Salford Dadz - Little Hulton). They have created both male-friendly spaces where positive role models talk openly ‘shoulder to shoulder’ and also fun dad-child activities that enable bonding. Fathers report a greater sense of positive identity, increased social connectedness and moves towards or into meaningful employment. Children reflect better relationships with their fathers, with consequent improvements in their own behaviour and wellbeing. With greater shared parenting, mothers relate significantly improved family relationships and, for some, a much more positive view of men. We have tested in Winton and are currently testing in Langley (Rochdale) whether the successes of fathers and children in Little Hulton in changing their lives can be sustained, deepened and replicated elsewhere. By doing so, we are gaining further evidence about how and why this approach works and how it benefits public services. Dadly Does It is funded by the Lankelly Chase Foundation.